A contemporary designed boutique villa overlooking the quiet and leafy grounds of the Siem Reap River, River Bay Villa is a 14-room retreat for those looking for a relaxed holiday. The swimming pool is the central hub of the villa while a spa on the property is on hand to give guests pampering after an adventure in the temples. Affronting the property is a series of restaurants and culinary destinations as well as an art gallery by accomplished local Cambodian artist Nou Savy. There are plenty of options to keep you busy at the villa – from SUSHI PLUS, our air-conditioned Japanese restaurant to LAVA, our al fresco dining gem. On the area is also the NOU SARY GALLERY and a relaxing lounge to enjoy your favorite drinks called RIO. Our POOL is a great place for an afternoon plunge while our very own SPA LEU is a great treat after a full day of shopping or adventures in the temples of Angkor. 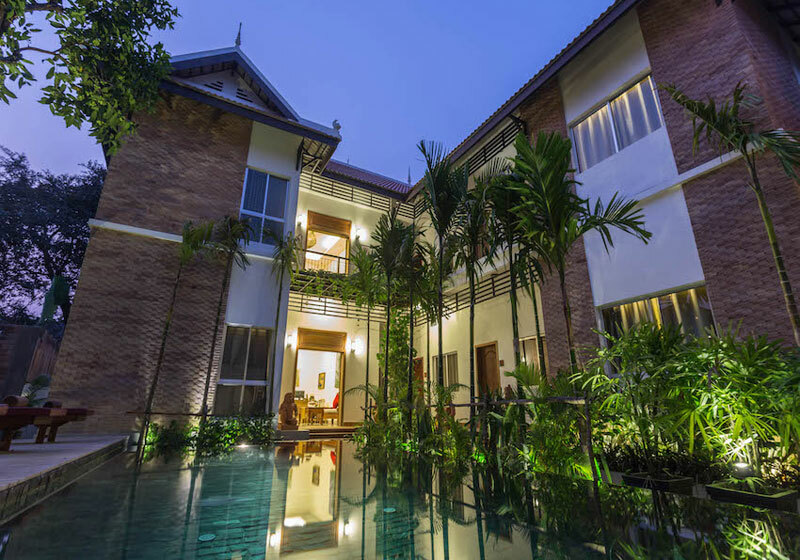 Short Description: A contemporary designed boutique villa overlooking the quiet and leafy grounds of the Siem Reap River, River Bay Villa is a 14-room retreat for those looking for a relaxed holiday.